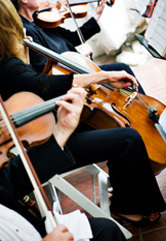 In preparing for their concerts, performers develop and stretch their musical and performance skills. Audience members hear high-caliber live performance, often with commentary. Premieres and rare or forgotten works are often heard. After over 100 years, we're still committed to playing and listening to great music!